President-elect Donald Trump has been busy staffing his cabinet and White House, and it’s been duly noted that many of the top positions have been filled by generals. A look at recent history shows Mr. Trump’s reliance on generals is not unusual, and may be pinned on public perception. As a celebrity, Donald Trump has long been known for his colorful, even outrageous, personality. But such attributes say little about how he will actually govern as president. We look at whether the business mogul-turned politician could change the Oval Office, or whether it may change him. To much of the Republican establishment and the American right in general, Mr. Trump remains a distasteful figure with a highly suspect economic agenda. But Will Rahn says even disgruntled conservatives seem to be embracing the fact that these are to be happy days, full of possibility. Donald Trump’s threats to slap heavy tariffs on Chinese goods are making business leaders and economists nervous about the U.S. sparking a potential trade war with China. As the president-elect dials up the rhetoric, could American consumers and companies get caught in the cross-fire? A school police officer in Nevada is facing new questions about his shooting of a knife-wielding student. Police say the teen ignored orders to drop a pair of knives and threatened other students, but there’s a growing debate over the use of force in the incident that was captured on cell phone video. Back-to-back storms are slamming much of the country with heavy snow, high winds and freezing rain. 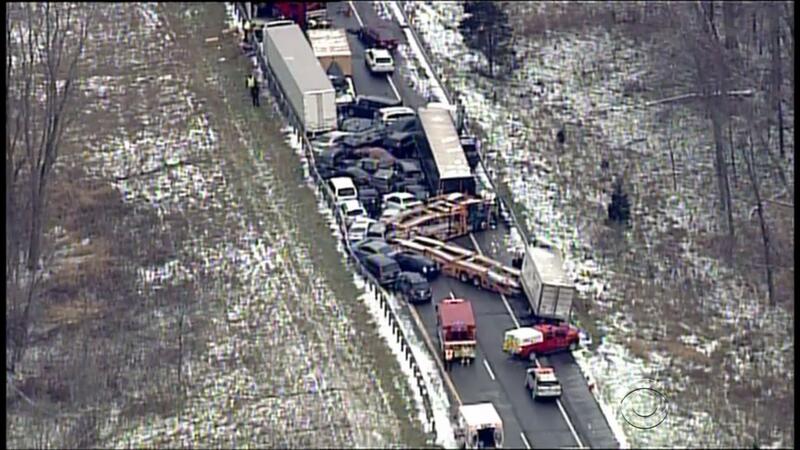 At least 15 people were injured in a massive chain-reaction crash near Erie, Pennsylvania, that left Interstate 90 shut for hours, and the storms are set to deliver their punishment today to new areas. Lenders that offer reverse-mortgages tout the loans as a safe way for cash-poor seniors to tap the equity they’ve built up in their homes. But these financial instruments, while potentially useful in some cases, can have serious pitfalls. We look at how reverse-mortgages work and outline their pros and cons. After 30 years in Senate, Harry Reid says goodbye to D.C.